Just when we thought spring had firmly planted its feet in the warming soil, we got snow. Cold air from the north crossing the open waters of Lake Erie dropped several inches of fresh, wet snow on us overnight. 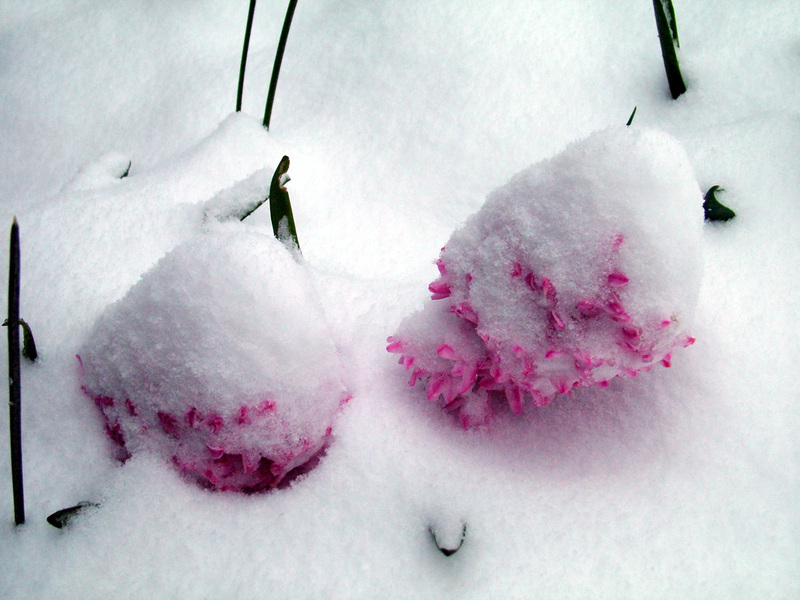 It buried all those beautiful green shoots and gorgeous spring blooms. 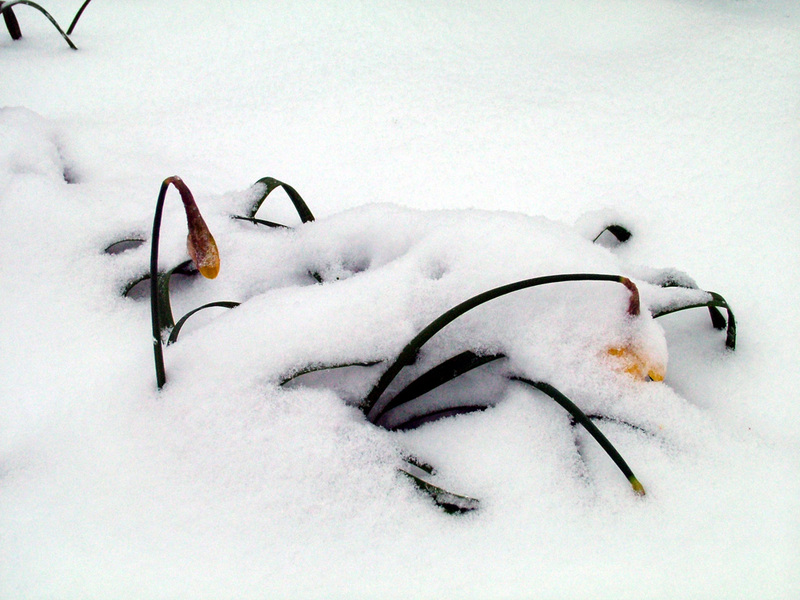 Now the hyacinths are hidden and the daffodils are drooping.